(b. 1970) – a Syrian journalist, activist and writer. She comes from a minority Alawi community. 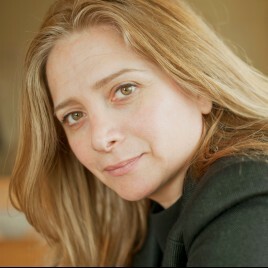 She is one of the currently most popular authors bringing up the issues of human rights protection in Syria. For many years, she focused on problems of women in Syrian society. She was also an editor of one of the first feminist e-zines in Syria. In 2012, she took part in protests against Al-Assad's regime. Consequently, she had to leave her country, but she returned a few times, risking her life. She has published five books, the last of which – The Crossing: My Journey to the Shattered Heart of Syria – was translated into Polish; it is a report from the world destroyed by the war and a search for pieces of normal life from before the outbreak of the conflict. Yazbek is the winner of the International Writer of Courage Award for her book A Woman in the Crossfire, the Swedish Kurt Tucholsky Award and the PEN International Free Expression Award.